Scurrying to get revisions finished, but I wanted to post some news and links and lovely things. Charitable donations are a very personal thing. There are so many ways our hard earned money can help others, and lately our world seems to be breaking into pieces around us. Needs are many and great. The Bookanistas want to give back, so in the coming months, we're going to be looking for ways to pour into communities, both bookish and worldwide. 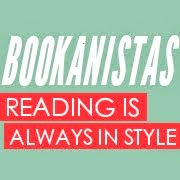 Myra has taken the initiative to get the ball rolling on the first Bookanistas Give Back event. Through a series of coincidences, she has gotten to know Charlie Bewley, Demetri from the Twilight Saga films, and learned a few weeks ago that he was running an ultramarathon in an attempt to raise funds for a cancer hospital. Read this gorgeous post to learn why. According to Myra, "His heart on the matter came through so truthfully and authentically (two of my favorite things), that I wanted to find a way to help. " And the Bookanistas have agreed to help her and Charlie out. A signed copy of DEMONGLASS by Rachel Hawkins (AND Rachel is throwing in a signed Demonglass totebag), a signed copy of ACROSS THE UNIVERSE by Beth Revis, a signed copy of TORMENT by Lauren Kate, a unicorn, and a signed and annotated advance reader copy of HOURGLASS. For a list of rules and all the prizes, please GO HERE. I will be posting winners for my Agent Signing Blog Party Celebration as soon as possible. I'm tallying up entries now. It's quite a process with so many entrants/entries, and I can't seem to find an easy way to do it, especially right now that I'm so swamped. So please bear with me. I'll get them posted soon. I normally try to make it a point to acknowledge comments in some way, whether it's to reply to your comments or visit your blogs. It really pains me when I can't do that. And right now, I'm severely limited on time, so I hope you'll understand why I've disabled the comments on this post. I really did just want to help promote this really worthwhile cause and to direct you to Myra's blog. Thank you so much for stopping by. I hope you know how much it means to me that you were here.